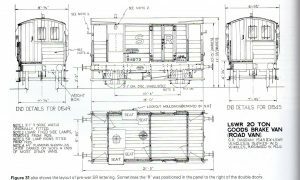 A customer of ours DJ, who is not a GWR modeller, requested that we create an N scale model of the brake van in this drawing below. I thought to myself why not. 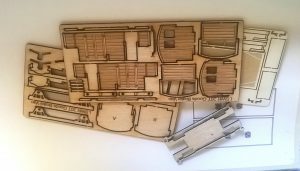 I don’t know much about Southern ways but here is a chance to learn so I set about creating a laser cut micro ply and card kit and this is a description of how it was achieved using published diagrams. The test build is described below. 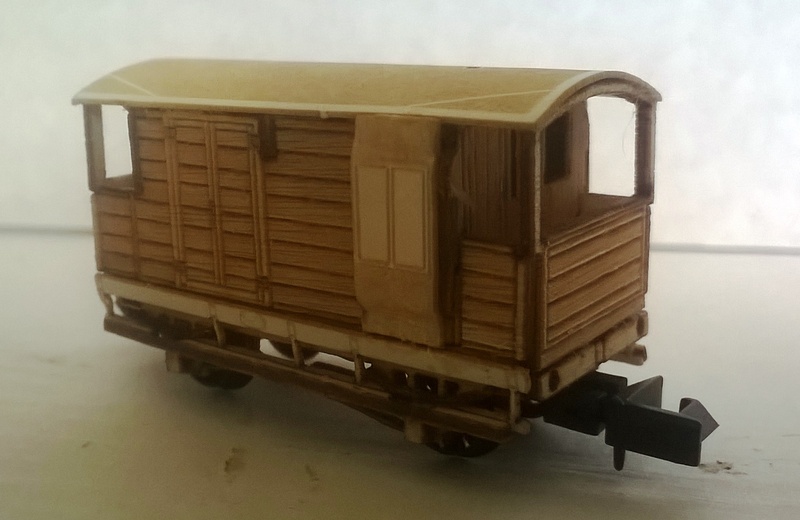 All the parts provided plus wheels and couplings but note buffers are not included. These can be obtained from B&H Enterprises at shows or online. 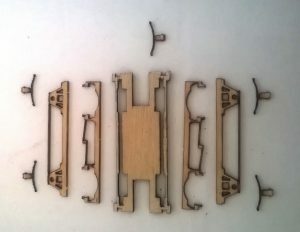 The first job was to build up the chassis designed around a tab and slot assembly. 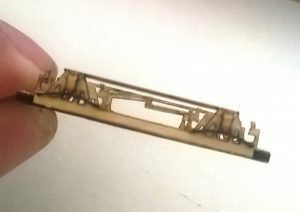 The parts were separated from the sprue as below. 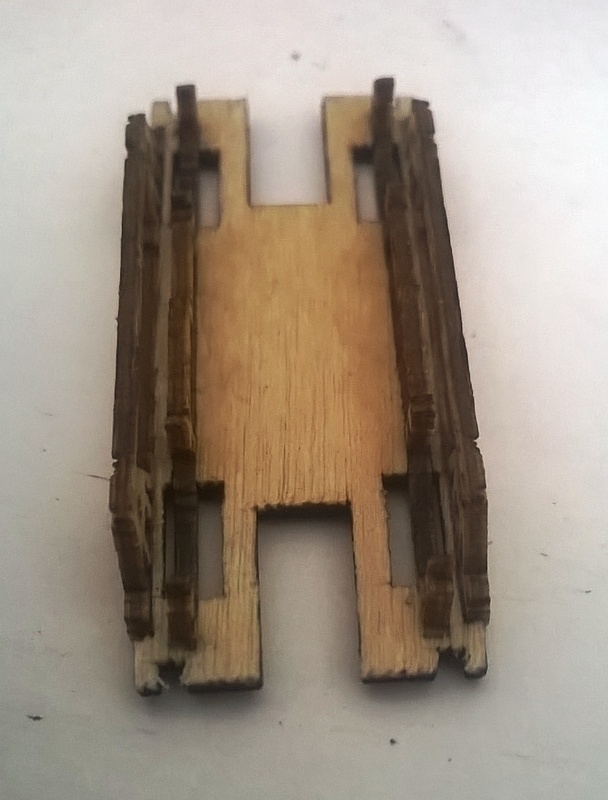 Working from the centre of the chassis- block outwards I glued in place the brake gear first pushing them all the way down into their respective slots (onto a dead flat surface). 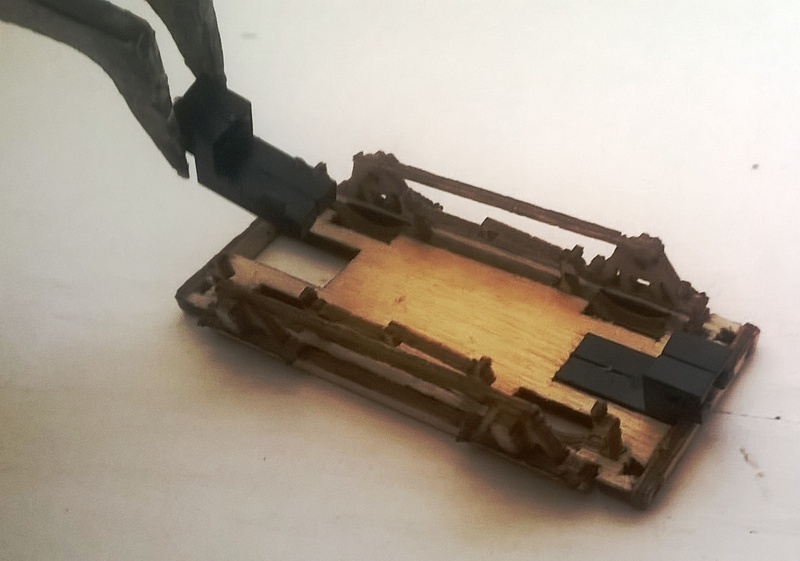 Next the side frames were glued in place and I made sure everything was aligned vertically and parallel before gluing on the axle boxes/springs over the axle holes. 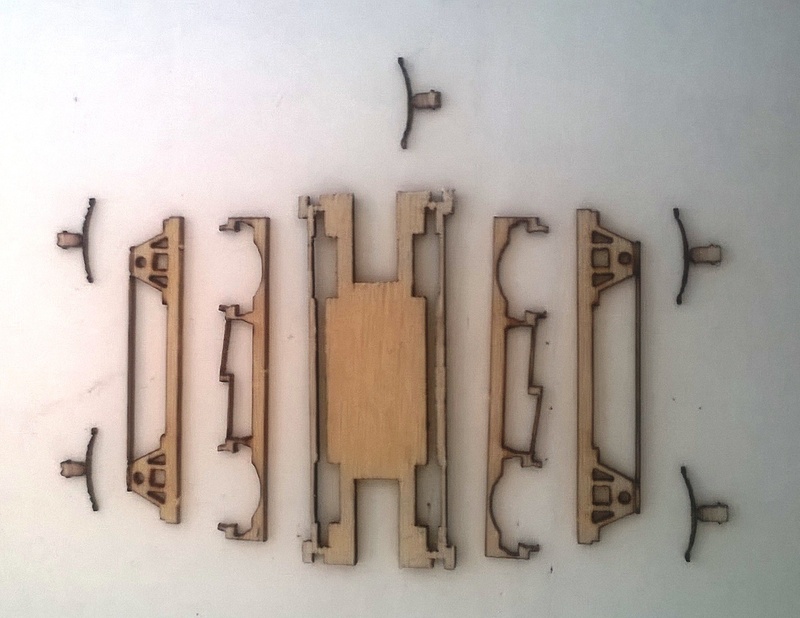 The oblong cut outs at each end are to accommodate the plastic NEM coupling pockets provided with the kit. These axle box pieces have to be aligned by eye and that is a fairly straightforward job but they are are quite delicate, as you can see, so I provided a spare one on the fret ‘just in case’. Here is the basic chassis finished. 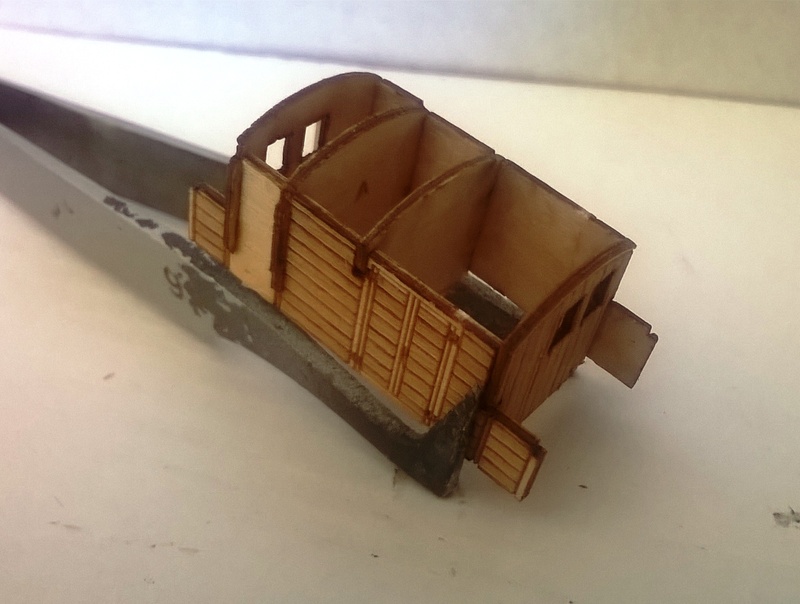 after gluing on the buffer beams, (aligning the pre-laser cut holes). 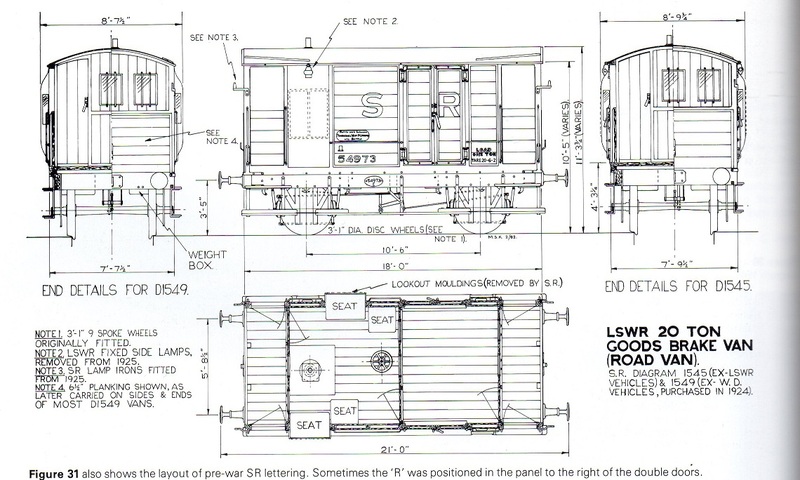 Note the coupling pockets are designed for short NEM couplings (provided), but the length of the couplings can be further reduced, if required, by shortening and setting back the coupler housing. Now turning to the body. 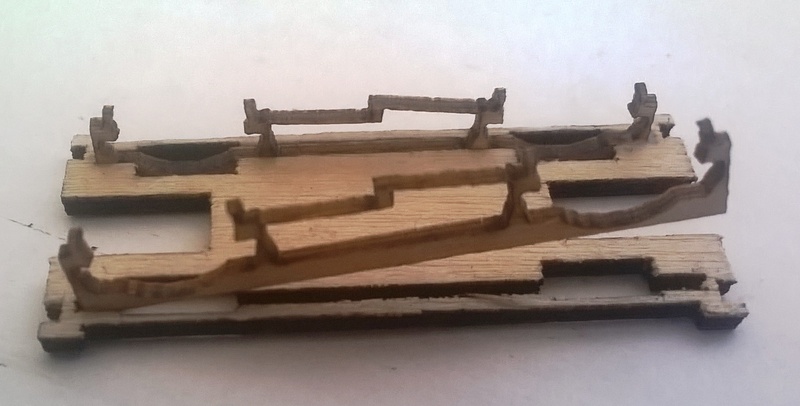 Normally my kits are built up around the floor section but in this case that is not possible because of the ducket arrangement. 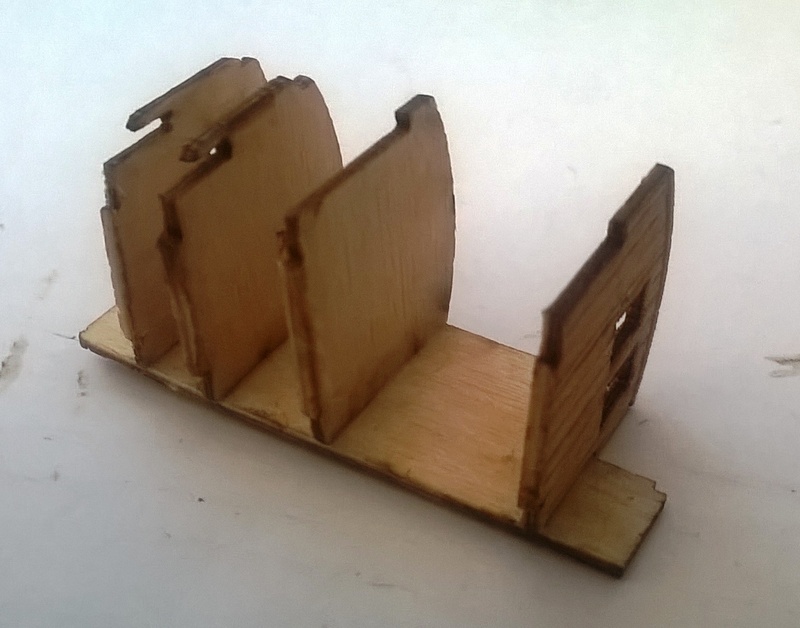 So I built up one side by slotting together the parts and securing with PVA. It is important that the sides slide home fully so a ‘dry’ run was performed to make sure the slots were clear of debris. The pieces must obviously be kept as vertical as possible during curing. Once this has completed I added the other long side and this action has the effect of squaring everything up as in this picture. 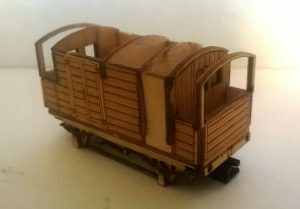 When this assembly had cured I turned it upside down and added the floor section by inserting the tabs on the base of the dividing walls into their respective slots in the floor piece and when set glued the body to the chassis to look like this. I now added the two end pieces which fit inside the side walls and on top of the buffer beam. This also completes the roof supports. The ducket covers are the next to apply and in this case there are 2 versions provided, (one panelled and one a plain steel sheet cover). 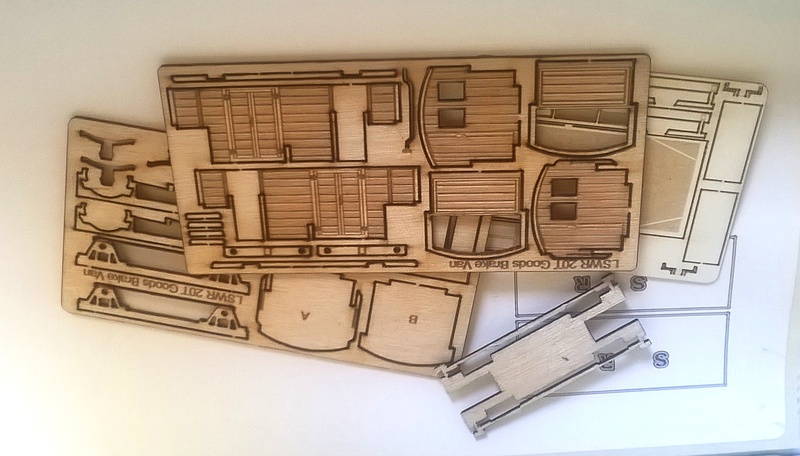 In this example I have opted to use the panelled ones and these were bent roughly to shape ‘dry’ before gluing in place and pressing into the required profile as the glue ‘grabs’. 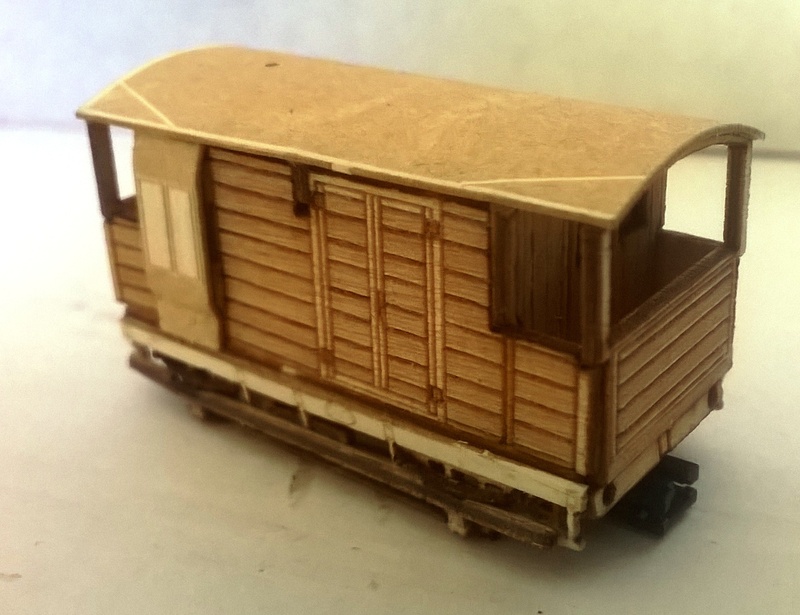 The next job was to add the roof which was first rolled to shape over a former. (pen barrel or similar). Test fitted ‘dry’ and then glued down with an even overhang all around. Note the chimney hole is at the ducket end. Next glue on the solebar covers and then the foot boards on both sides and by now the wagon looks like the photo below. Click in the couplings next then pop in the spoked wheels. I fashioned the chimney from a piece of plastic rod I had available and then she was ready for painting. 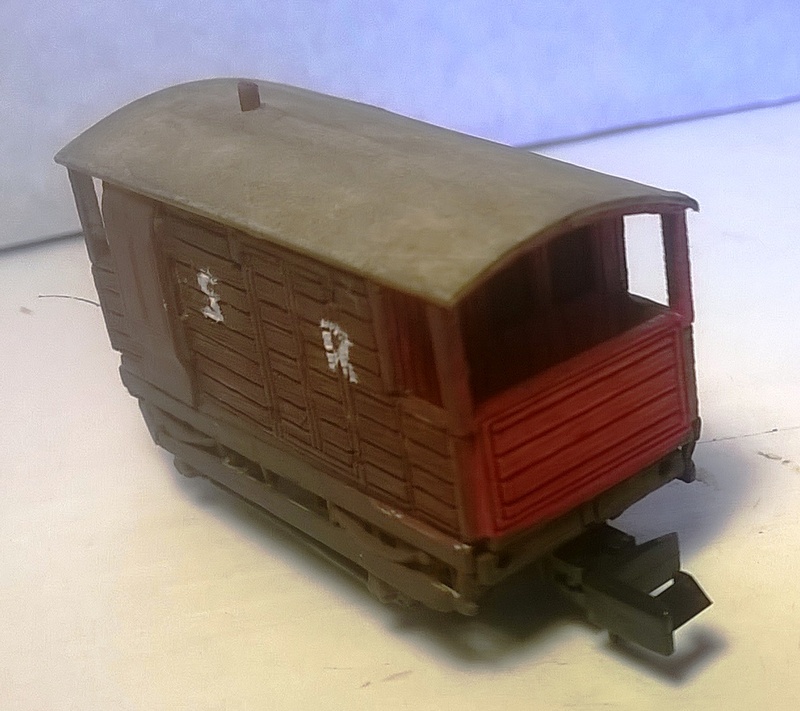 I opted for a Southern Railway brown version with the full red ends. 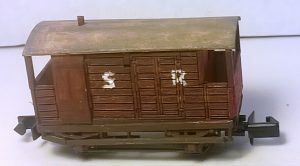 Either enamel or acrylic, (as here), paint will do but it is best to thin both types down and do light coats so as not to clog up the planking detail. The roof is just a dirty grey colour and the chassis is painted with acrylic frame dirt colour. A paint mask is provided for the lettering but I need to have another go at it this time allowing the brown paint longer to dry. So that is it. Another fun kit to add to the Osborns Models Great Western Replicas collection (even if it is a Southern). 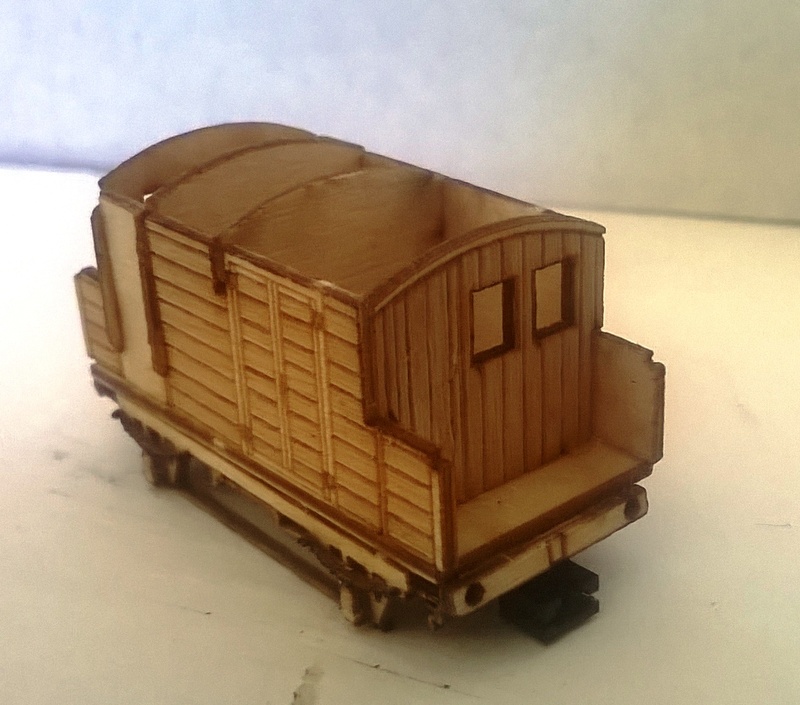 It will look better with buffers! All that is left to do is to send off a sample to DJ for suggesting it and being patient while I was distracted with other work. I hope he likes it!